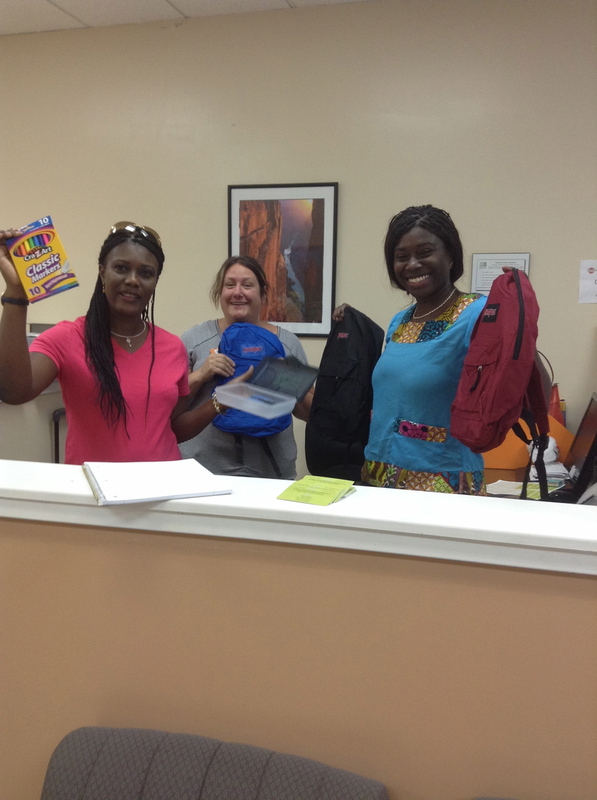 On the 9th of september 2014, African Youth Development and Health Foundation sponsored a free backpack and school supplies giveaway. The Foundation's Project Fill My Cup hosted this event in the Corona Mall Urgent Care at 1:00pm. The aim of this giveaway was to make kids feel good about going back to school. It is true that the hand-me-down clothes and hand scrubbed old backpacks can look clean but nothing impresses a child or bring a smile to a child's face than a NEW backpack filled with excess Fun pencils, Licorice shaped erazers, pencil cases, fun sharpeners, eraseable colored pencils, crayons, ball pens, and character themed folders. 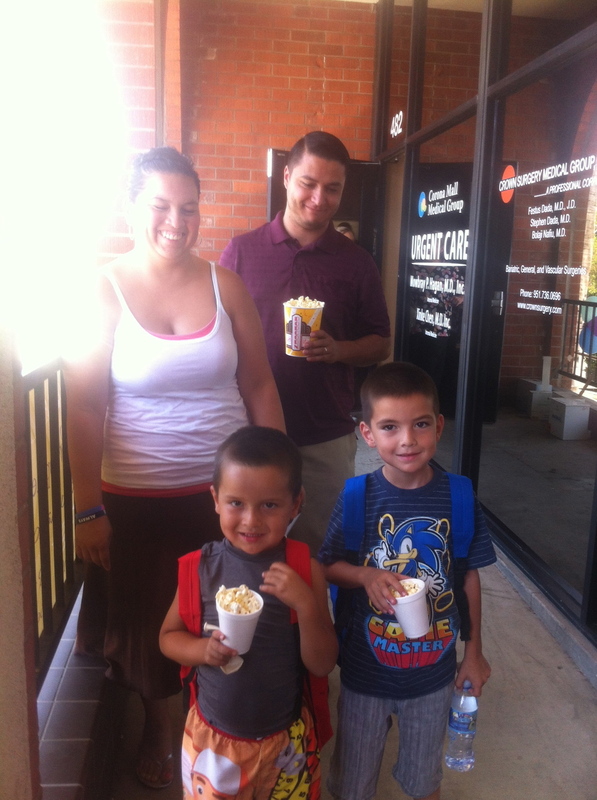 The children also had fun eating fresh made Popcorn and Juice packs while blowing ballons. We were fortunate to have the City of Corona department of Water and Power donate 10 (ten) cases of water to be distributed to the people. Hundred backpacks were gone within an hour from the time the doors were opened. African Youth Development and Health Foundation believes in education and the saying that "Education is the key to Success" and every child deserves that chance of that success. There isn't anything a parent would not do for their child and the Backpack giveaway is a helping hand to parents to have one or two less things to check off their to-do list. The NEW supplies and Backpacks will also give the children some pride in their strides to school. African Youth Development and Health Foundation is also giving to some much needed support to people in the inland empire. We love and enjoy what we do by giving a helping hand to parents, educating the youth and providing healthcare accessibility to unreachable communities. DO YOU WANT TO BE PART OF THIS? contact us and tell us how you think you can help us.